She revealed the secret of popularity for a long time: every song is a 100% hit, the number of views of clips for YouTube exceeded 150 million, and live performances are held with the full house and have a powerful energy and unique atmosphere. 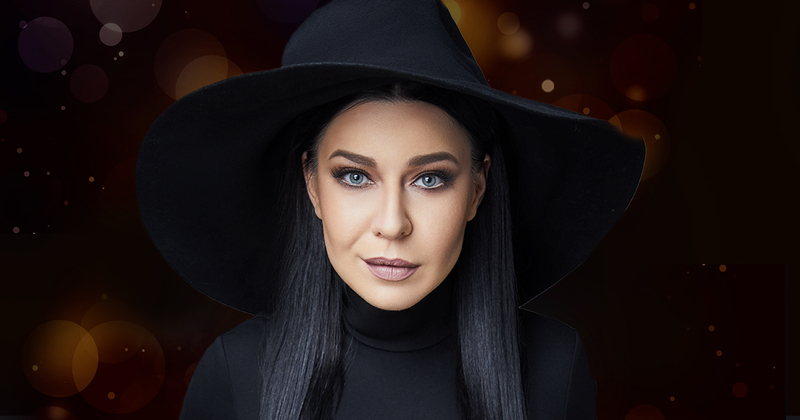 Popular singer, Russian singer Yolka will perform in Minsk with a concert by the Metropolitan Prime Hall. The concert starts at 20:00. Their concerts Tree calls “concert”: it is always soulful and, at home warm and cozy. From the stage, the artist shares the most intimate with the audience: tells stories of life, mocks him and takes the beloved songs. the Concert singer – this is a full immersion in the melody and meaning of the songs, as well as familiarity with the inner world Tree. The sincerity and geniality of the artist at concerts – it is an impressive exception in the world of show business. At some point I had a clear understanding of what kind of feeling should leave the audience with my performance. And it's not on my mind. The stones will make sure life will throw us a nasty adventure. I want a dialogue with me, the audience received a bit of hope. So two hours it is disconnected from all load which is accompanied by our life, - says the Tree. career Trees can be divided into two periods: “to” and “postperovskite”. In 2011 came the song "Provence", which is considered as the beginning of a new stage in creativity of the singer. It is noteworthy that 4 months this song didn't want to take the radio, and the Tree itself admits that initially did not want to record a song. "Provence" was named the best hit of the first half of 2011: the track is firmly entrenched in the tops of the charts, and the video for YouTube has become one of the most viewed Russian videos. The journal “Time Out” has contributed a song to the list of “100 songs have changed our lives”, and the magazine “Billboard” included the song in a list of the most vivid and memorable Russian pop hits in the last 20 years. throughout his career, the Tree has been repeatedly recognized as the most played singer of the CIS. “In a big balloon”, “About you”, “gray happiness”, “Forever”, “World”, “Let the music,” he held the highest point in all the hit parades of the CIS. In the kitty Tree seven statuettes of the award “Golden gramophone" of the award of the channel “RU-TV” and “song of the year”, as well as full-length album “The city of deception" (2005), “Shadows” (2006), ‘This magnificent world" (2008), ‘the Points are placed" (2011), “#Nabi" (2015) and the live album "#2" (2015). Virtuoso live sound, excellent vocals and a mix of Euro-pop and rhythm-and-Blues in all sorts of configurations maximum value and a wonderful atmosphere will give the audience a sincere aesthetic pleasure and a good mood in the cold autumn evening.